The Chicago Diner - The Best Organic AND Vegetarian Restaurant in Chicago! My boyfriend took me to an organic restaurant called The Chicago Diner on our first date. Since I'm a vegan, I was a bit skeptical of the place due to its name, but after he insisted that everything there was vegetarian (mostly vegan) and organic, I agreed to go. Boy, am I glad! 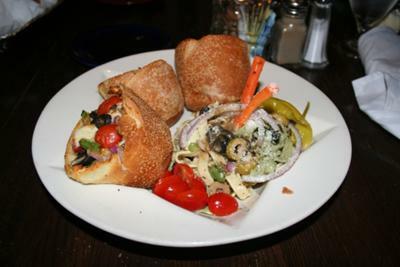 The Chicago Diner has fantastic food, consistently wins not only local but regional awards, and offers alternative cuisine. Everything on the menu tasted fantastic! Their offerings are all seasonal, locally grown when possible, rich in taste and flavor, and containing only organic and fresh ingredients. When we sat down to order, my boyfriend was perusing the wine list when I noticed that even all their wines are organic! I was very pleasantly surprised. Since I first went, The Chicago Diner has remained my favorite place for fresh, organic, vegetarian food. Whenever I want to go out to eat, The Chicago Diner organic restaurant always comes to mind right away. If you are ever in Chicago, DO NOT pass it up! I want to share my first experience at Mista Pizza, an organic restaurant in Chicago. I was on a business trip to Chicago. As I was new in town so I asked a colleague at work for a good place to dine and told me to check out Mista Pizza. Therefore, I went there with a friend for dinner. I ordered a large pepperoni pizza (really good) and bread pudding. My friend had cheese lasagna. I must say service was very fast and the staff was very attentive and friendly. 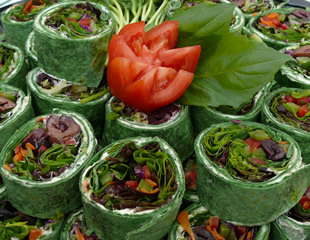 The place offers a large variety in menu and the dishes are really delicious and healthy. There is a magic aroma there and it gives a feeling of organic ambiance that is quite unique! If you are planning to visit or living in Chicago, I would highly recommend checking out Mista Pizza. With food of this quality you would think it would be pricey, but it is actually very affordable so don’t miss it! 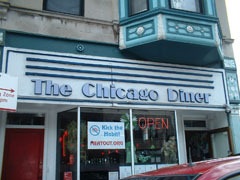 The Chicago Diner, located at 3411 North Halsted in Chicago is one of the best organic restaurants in the Midwest. As a lover of organic foods, I know that I can get 100% organic food when I prepare it at my own home. However, I can't be sure of that when I go to a restaurant. At the Chicago Diner, I know that I am getting fresh, 100% organic foods every time. I also love their selection and the creative choices for the menu, not to mention the benefits of eating organic food. One of my favorites are their vegan shakes. I also love their vegan desserts, like their cookies, muffins and scones. The Chicago Diner is a great place to go for dinner, but it is also a place that should not be missed for brunch. Unlike most organic food restaurants, the food at The Great Impasta is very heavy. The chefs us a lot of cheese along with the organic greens and other top-notch ingredients. Illinois is probably the last place that anyone would expect to find a restaurant that is committed to serving food made with organic produce, and yet the Great Impasta in Champaign does an amazing job. If you are visiting the University of Illinois, or passing through the Midwest, it would be a great place for dinner.